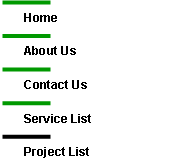 Here’s some photos of some of the projects we’ve built over the years. 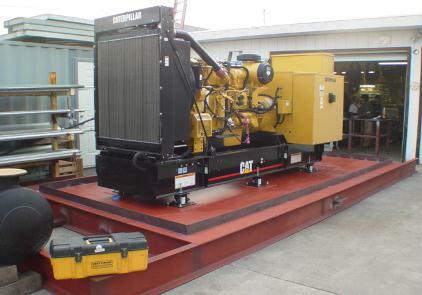 Here’s a Caterpillar 1100 kW Standby Generator being load tested– both resistive and reactive -prior to installation within the customer’s facility. 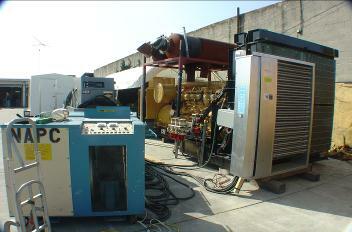 controls, exhaust systems, load testing, misc. 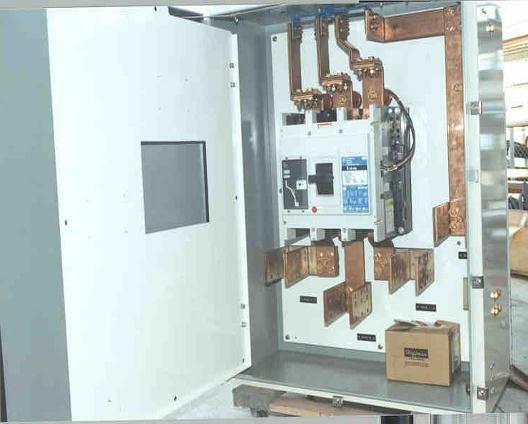 Here’s an emergency generator tap box we designed and built– we fabb’ed all the internal copper bus bars. 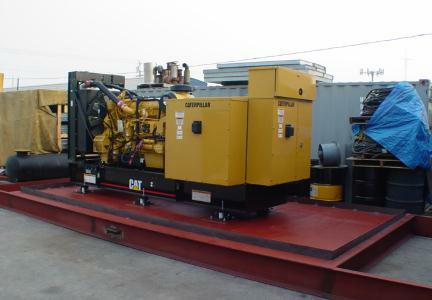 This assembly allows for a quick– safe connection of a portable generator to the customer’s facility. 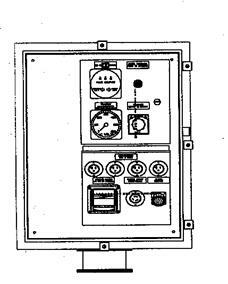 A separate ‘support circuits’ enclosure has been provided for use with the tap box pictured above. This allows one to quickly confirm that the portable generator system voltage, phase rotation are compatible with the building. Also included are receptacles to support the portable gen’s jacket water heater and start battery charger– and interface remote status alarms. Here’s a 350 kW Caterpillar module being built for a site with very strict acoustical limits– the completed module provides less than 60 dBA at the nearest property line. 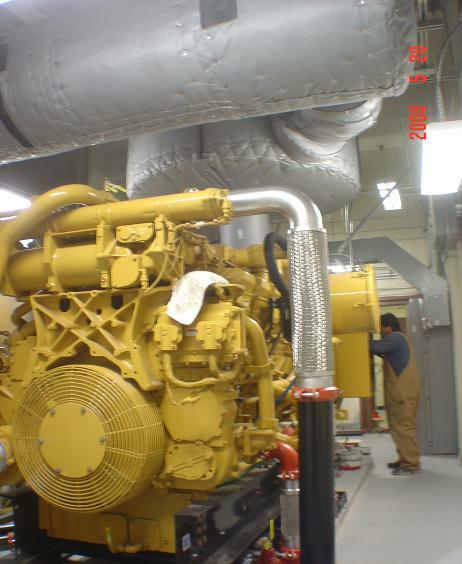 Here’s a 750 kW Caterpillar generator installed within an existing building– we sound attenuated the walls, exhaust, etc. to minimize the noise level for workers within the building itself and neighbors at adjacent properties. 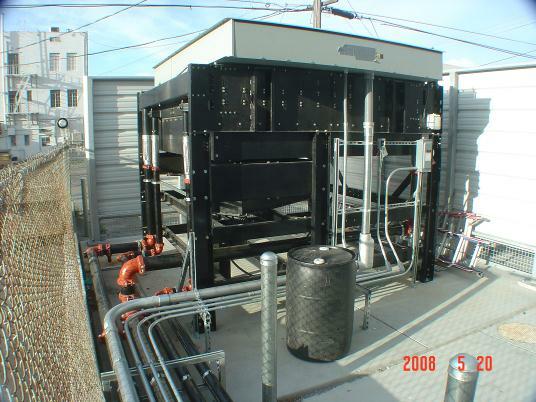 Notice that this skid uses the factory provided skid mount radiator– no parasitic loads, no auxiliary fans with ancillary starters, breakers, etc. that can fail. Also note that the area under the engine has a containment sump to prevent any potential oil or coolant from polluting the surrounding area in the event of a spill. 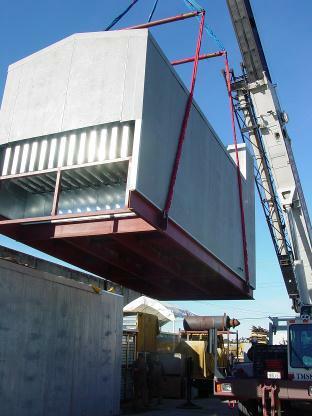 Here’s the completed module being shipped to site. Note the air inlet baffles on the end of the module– they let air in, but keep sound from emanating out! 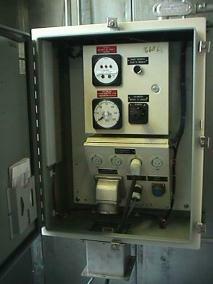 Here’s the remote radiator for the above picture Caterpillar engine generator. Note the flex connections on all pipes and conduits– also note that this radiator contains two separate cooling circuits– a jacket water circuit and an aftercooler circuit– a feature required on many low emission engines. Here’s the piping and conduit run interfacing the above pictured radiator and engine. 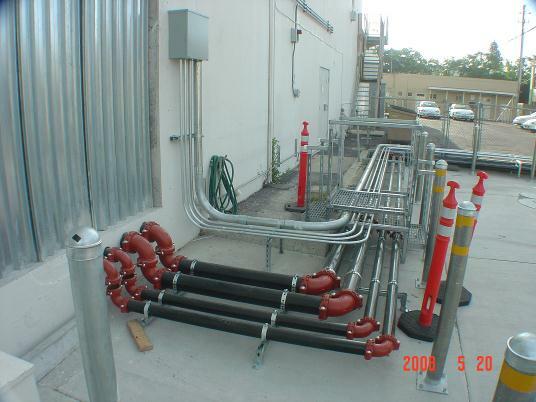 We used Victaulic fittings for this system to allow for ease of service and repair– note the bollards placed to protect the piping from vehicles within the parking lot.